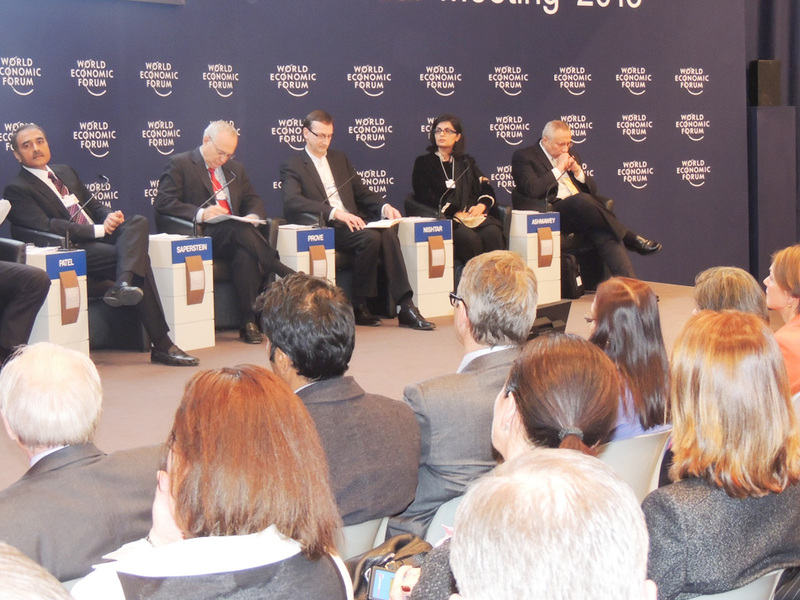 January 29, 2013: Our President Sania Nishtar attended the World Economic Forum Annual Meeting 2013 in Davos from January 22 to 26. Amongst other things, she was a panellist in the session “Religion and Politics” and spoke about the impact of religion on development. She was also the official Rapporteur for the session on “the Future of Health”. Official rapporteurs was a new role introduced by WEF at their annual meeting this year to capture select sessions, building upon high-level topic expertise of the rapporteur. Her insights on the session and conversation with the session moderator webcast by WEF can be viewed here. Additionally, she was a discussion leader on another event at the Forum which focused on human capital. January 18, 2013: The Emerging Markets Symposium this year was themed Gender Inequality in Emerging Markets, held on January 11-13, 2013 at the Egrove Park, Oxford UK. It was hosted by Green Templeton College. Each year, the Symposium brings together authoritative and influential leaders in public and private sectors from all around the world. This intensive three-day meeting concluded with actionable recommendations. With 49 participants, a number of sessions were held, one of which was on Women’s Leadership, chaired by Madeline Kunin. Speakers at this session included Baroness Goudie, Serra Kirdar Meliti, Mona Lena Krook and our president, Dr. Sania Nishtar. January 3, 2013: With the recent wave of healthworker assassinations in Pakistan, the polio eradication drive continues to face challenges, and risks the 2012 gains. Our viewpoint, also trending on Twitter has simultaneously been published in the impact section of the Huffington Post and The News International. Your Comments on the viewpoint are welcome through the Heartfile eForum.